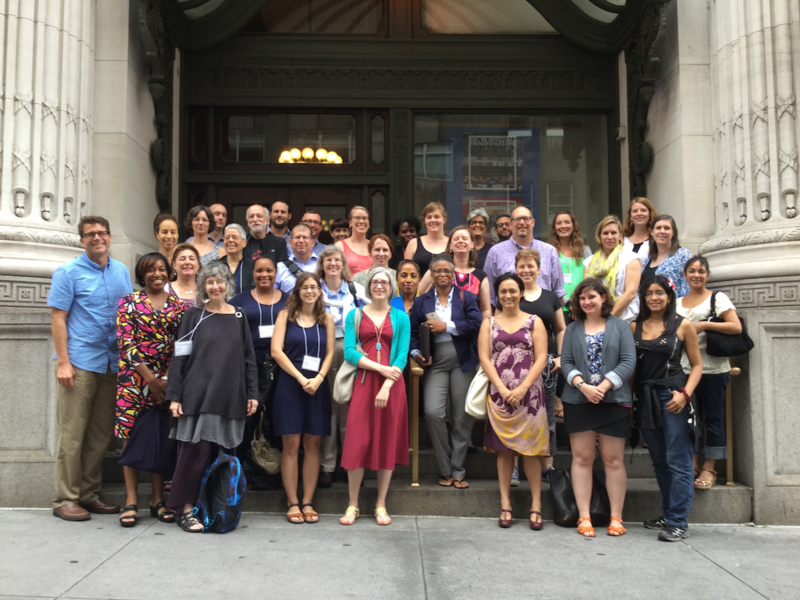 During two steamy weeks this past July, the American Social History Project/Center for Media and Learning held our third National Endowment for the Humanities Summer Institute. “The Visual Culture of the American Civil War and its Aftermath” institute was hosted by the CUNY Graduate Center and three New York City cultural institutions (New York Public Library, New-York Historical Society, and the Metropolitan Museum of Art). Attended by thirty NEH Summer Scholars selected from colleges, universities, and museums across the country, the institute featured presentations, discussions, visits to local archives and museums, and hands-on workshops that focused on the era’s visual media to assess how information and opinion about the war were recorded and disseminated, and to consider ways visual media expressed and shaped Americans’ understanding on both sides of the conflict. For this third institute, we extended its purview to address the struggle for equality beyond the years of the war, imcluding the visualization of the extended war in the West, Reconstruction, and the Gilded Age. The institute featured talks by eleven noted historians, art historians, and archivists representing the range of current work in the field. In addition, a team of four institute faculty (Joshua Brown, Sarah Burns, Gregory Downs, and David Jaffee) guided the participating scholars in ways to use visual evidence to enhance their research, writing, and teaching about the war and its short- and long-term effects. Topics discussed during the institute included Civil War photography, visualizing slavery and anti-slavery, the illustrated press, political cartoons, maps, textiles, Emancipation, the wartime and postwar West, and commemorative sculpture and public monuments (the full schedule of activities and speakers is available here). Thanks to a supplementary NEH grant, many of the institute’s resources and activities will be available online on The Visual Culture of the American Civil War website. The site, which currently includes sessions from our 2012 and 2014 institutes, and soon the 2016 institute, features video lectures and related picture galleries, primary documents, and print and multimedia bibliographies.